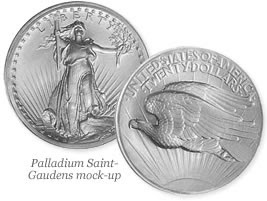 Just so my readers don't miss out, palladium St. Gaudens coins may be released soon! The House of Representatives authorized it, but it must pass through the Senate and signed by the president. If so, we'll have palladium St. Gauden's! I would like to get one of the special issue coins, the first St Gaudens palladium on the market. If not, maybe one of my readers can get and sell me one! The coins will be mined from US palladium in Stillwater, Montana. 2009 gold St. Gaudens are already set to be released. 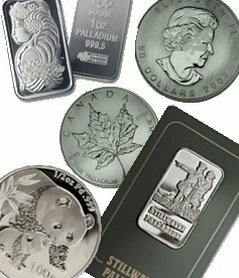 Where Can I Buy Rhodium Coins Rhodium Bullion? Platium Coin Sells for $6000!